It had to happen sooner or later. The rematch of 2010’s thrilling Olympic gold-medal game will be held in the semifinals in Sochi. The U.S. Olympic Men’s Hockey Team will take on Canada at noon ET on NBC Sports Network Friday, with the game streamed live in the U.S. on NBCOlympics.com. The winner will play either Sweden or Finland for gold, while the loser will have to settle for playing for bronze. The gold-medal game may be when the stakes are highest, but these two North American rivals meet with the chance to assure one of them doesn’t get to play for gold. Some may say it’s an anti-climactic time to meet. Hardly. A loss for either team would be considered an even more bitter disappointment than silver. Both the U.S. and Canada have made it through Olympic play unscathed to this point, with each collecting three regulation wins, Canada earning one overtime win and USA claiming a shootout victory. Now with the stakes at their highest yet in the tournament, this clash of the titans couldn’t be set up more beautifully. Border battles on each side of the bracket for the men’s hockey tournament are more than a little compelling. But all the eyes of North America will be on one game. In the U.S., NBC predicts it will have a record-setting audience for its live stream on NBCOlympics.com, with likely well-above-average ratings for weekday television. Even non-hockey fans know Friday is a big deal and they’ll be interested. They’ll also be nervous. There have been two days of buildup since the quarterfinals, but it’s really been four years. For 13 returnees on Team USA and a country of hockey fans that had wondered if this game would come, there will be no bigger hockey game played in the world this year than the one set for Friday, in terms of publicity and interest. Canada comes in having faced trap team after trap team and not being able to generate as much with their forwards. Of the 13 goals Canada has scored in this tournament, six have been scored by the guys up front. That’s only one more than Phil Kessel has by himself for Team USA. But the style the Americans play will be one Canada is more familiar and comfortable with and that puts a lot on the U.S. to play a responsible game in all zones. That’s the game they’ve had to play all tournament though. The fact that Team USA is in a bit of a solid scoring rhythm with 20 goals through four games and getting production from each line, they’re well positioned to match up with Canada’s very sturdy and sound defense. This game is going to be fast, physical and probably a ton of fun to watch. Though there may be a lot of people on both sides of the border watching this game through their fingers and deep breaths, this is the best hockey has to offer and we won’t see it again for another four years (or perhaps longer if the NHL doesn’t return to the Olympics). The Meat Line is probably going to see a heavy helping of Sidney Crosby and whoever he happens to be with (likely Chris Kunitz and Patrice Bergeron). Crosby has had his chances, but hasn’t converted. It will be that line’s job to make sure he doesn’t start against the U.S. There will also be a rather large emphasis put on the play of Team USA’s defense, as there will be for Canada as well. Since this is going to probably end up looking more like your regular North American game played on international ice, the D have to be on pucks in their own zone quickly. They have to win races and absorb heavy forechecks. Canada is renowned for its ability to apply pressure in the offensive zone and the U.S. finally did that about as well as they did all tournament against the Czechs. Team USA’s quickest defensemen are also their youngest, so those guys will be under a lot of pressure and will have to limit mistakes. If they can do that, they’ll be able to play the game they have all tournament, which involves responsible puck movement and good, clean zone exits, while occasionally jumping into the play for some offense. Canada’s defense has been among the best in the tournament. No team has allowed fewer shots on net, but Canada has yet to see a team as strong offensively as the U.S. They have to find ways to slow down the U.S. scoring attack, particularly the trio of James van Riemsdyk, Joe Pavelski and Phil Kessel. On the flip side, Team USA has to be excellent in transition and using their speed to keep Canada on its heels. 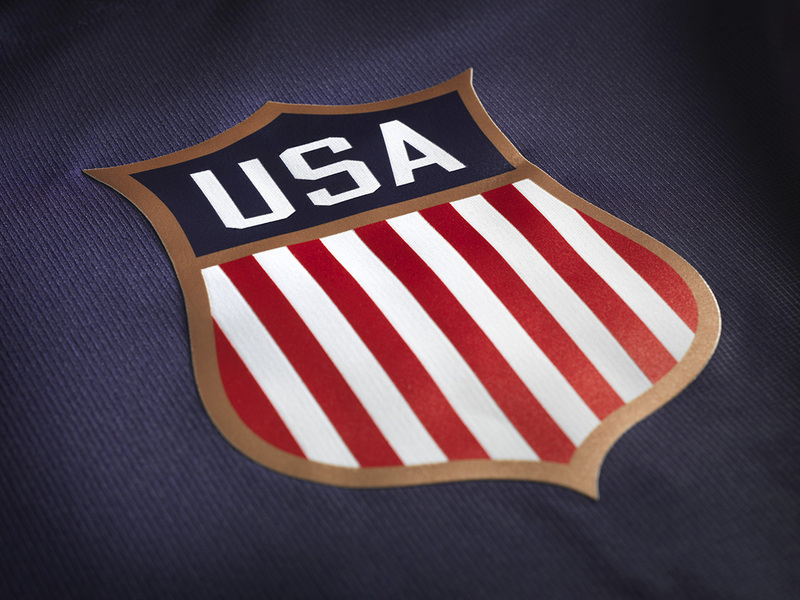 The U.S. is as good a skating team as there is in Sochi, so they have to show that against Canada. Keeping the Canadians spread out will go a long way in generating some offense. Where Canada has a marked advantage is in their forward depth. Even with John Tavares going down with a significant injury, the only thing that changes is making it an easier decision about who to insert into the lineup. Though the Crosby line should figure prominently, I think the trio of Jamie Benn, Ryan Getzlaf and Corey Perry will be especially challenging for the U.S. Their size, speed and aggressiveness is going to make thing difficult for whoever they play against and each has a pretty sound skill set to create offensively. They’ll be the guys applying the most pressure on Team USA’s young D corps. As all of hockey does, goaltending should be a huge factor. If both Team USA and Canada have good goaltending, this game becomes a lot more interesting. Jonathan Quick has been solid in this tournament, while Carey Price has done just fine while seeing just 51 shots through three games. The U.S. is going to need big stops out of Quick early and they have to apply the pressure to Price right away. They can’t just take any old shot, though. Canada is going to have enough speed to be able to counter on bad turnovers off of passes and shots, so making sure the U.S. is getting to the prime scoring areas will be key. Team USA is going to have success if that Meat Line is able to frustrate the heck out of whatever forward trio it plays against, the U.S. is able to establish a sound transition game and use their speed to create. Jonathan Quick has to be as sharp as he’s been all tournament and probably make five to seven key stops and all the ones he’s supposed to make. Meanwhile the American defense has to continue to clog lanes, block shots and make smart decisions with the puck in their own zone. They have to put together a near perfect game to win, but as good as the U.S. has been in Sochi, I don’t think we’ve seen them play at their very best yet. USA-Canada is as special as it gets in hockey. There’s a great rivalry going between the two sides that has strengthened over the years from the younger levels of hockey on up. A lot of these guys have been playing with and against each other in the NHL, but going back even further, they’ve been squaring off against one another for years at the World Juniors and Under-18s and everything in between. The gap has kind of narrowed in that regard as there is more competitiveness between the two in the last decade. But history is only that when this game is played. Everything we think we know about these two sides will go out the window when the puck finally drops. To this point, the U.S. has played a very good tournament. They’ve not always been perfect, but have done more than enough to win games. They’ve had some terrific moments throughout, like T.J. Oshie’s remarkable shootout performance (Jonathan Quick, too) and Phil Kessel leading the tournament in scoring. It seems a little strange to say heading into a game against Canada, but I think with the way Team USA has played, anything less than gold at this point is a disappointment. They’ve done all they needed to do to this point and now have their biggest test yet. Even with that level of expectation, the U.S., is in an underdog role in this game and they come in with a bit of a chip on their shoulder. And though they’ve struggled to score, Canada still looks every bit the polished machine they have been, even with many new faces since 2010. It should be an all-out war on the ice between two proud hockey nations. One has tradition to uphold, the other, something to prove. Same as it ever was. As hockey fans, it doesn’t usually get better than this. So let’s drop the puck already. I found that our US Men’s Hockey Team played uninspired hockey. Much like the Denver Broncos played the recent Super Bowl Both teams were suppose to win their matches. Both were highly touted but in the end showed their weakness in being a prolific. The Women’s Hockey Team just plain choked! Just plain played a bend but do not break … back on their high heels … prevent defense that made no sense. Play the game like it is suppose to be play … like the first 56 mins 30 seconds of the game. Get beat playing like what got you through the first 93% of the game. I am a disappointed American that cannot understand how our Hockey Teams cannot be the dominant hockey representatives we need to be. I believe if our amateur teams with alot of heart were allowed to play we would be playing in the Gold medal match … both Men and Women.